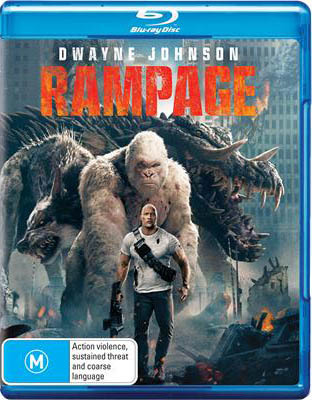 If you create a user account, you can add your own review of this DVD Primatologist Davis (Dwayne Johnson) shares an unshakable bond with George, the extraordinarily intelligent silverback gorilla who has been in his care since he was young. When a greed-fueled corporation's genetic experiment goes awry, George and other animals across the country are mutated into aggressive super-creatures who destroy everything in their path. In this adrenaline-filled ride, Davis tries to find an antidote, not only to halt a global catastrophe but also to save the fearsome creature who was once his friend.